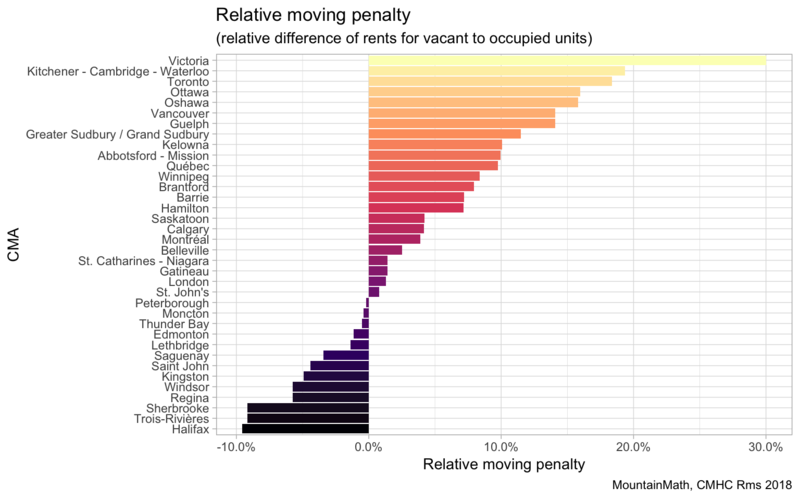 The relationship between rent change and vacancy rates in Canada. 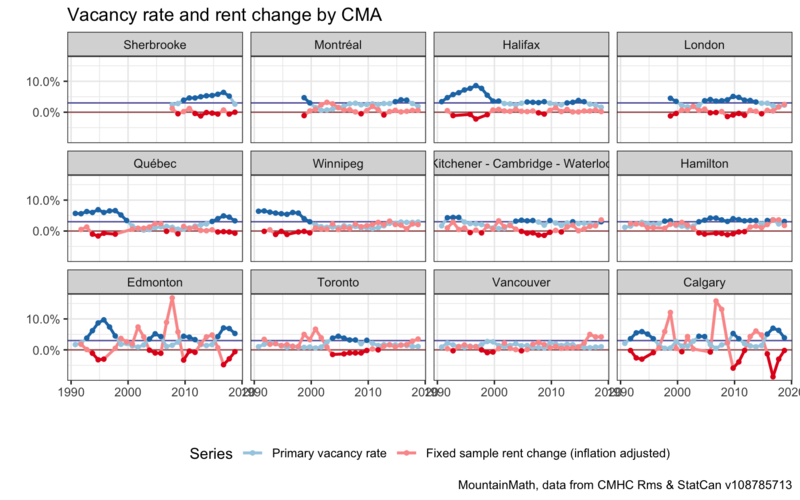 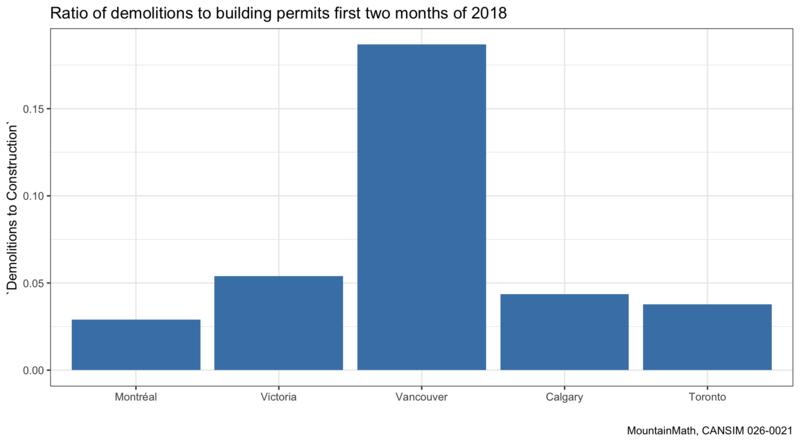 Today the new CMHC Rental Market Survey data came out, which is a good opportunity to refine my musings on the rental vacancy rate and rent increases. 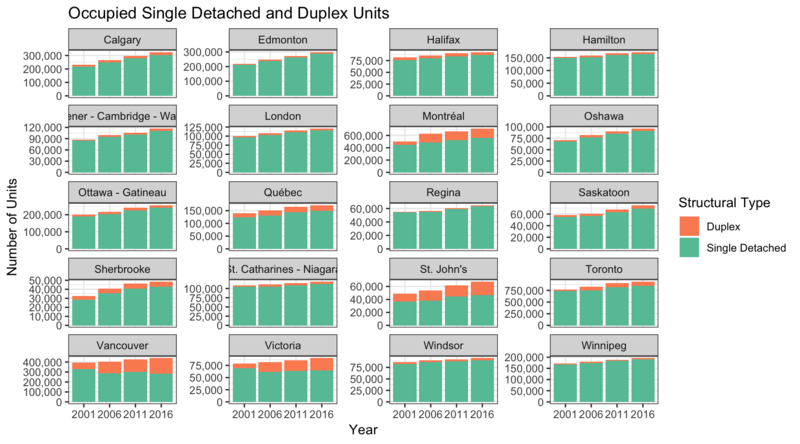 I view this as the renter version of the relationship between months of inventory and changes in resale prices in the for sale market. 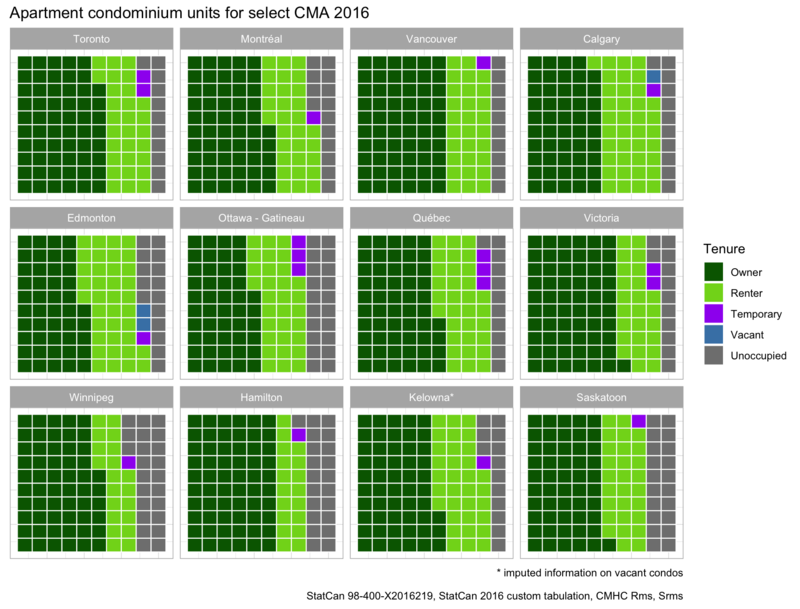 CMHC surveys purpose-built (market) rental apartments every October and reports on a variety of metrics, including statistics about the total stock, median and average rents, vacancy rates, and fixed-sample average rent change among others.